Families looking to ring in the New Year in Colorado will be pleased to learn that there are many fun events and activities that occur on Dec. 31 that are perfect for adults and children. With early ball drops and fireworks displays, staying out late isn’t necessary to enjoy a great New Year’s Eve in the Centennial State. Celebrate the New Year at these 10 best family-friendly New Year’s Eve celebrations in Colorado. Celebrate the New Year in downtown Fort Collins, known as Old Town. This family-friendly event is full of live performances, like music, comedy and theater, and has fun activities for kids like bounce houses and face painting. The countdown for the New Year begins at 5:30 p.m., and don’t miss the fireworks display that occurs at 10 p.m. Downtown Denver has one of the best New Year’s fireworks displays in the state of Colorado. One of the great things about the fireworks in Denver is that it happens twice, once at 9 p.m. and a final display at midnight. Head to the 16th Street Mall to catch some of the best views of Denver’s dazzling fireworks this New Year’s Eve. The whole family will love celebrating New Year’s Eve at the rodeo in Loveland. Enjoy rodeo events like bull riding, bull fighting, mutton busting and more. With affordable prices and a fun atmosphere, New Year’s Eve Extreme Rodeo Challenge has become a popular spot to ring in the New Year for Colorado families. Zoo Year’s Eve is a New Year’s Eve celebration that occurs at the Denver Zoo. 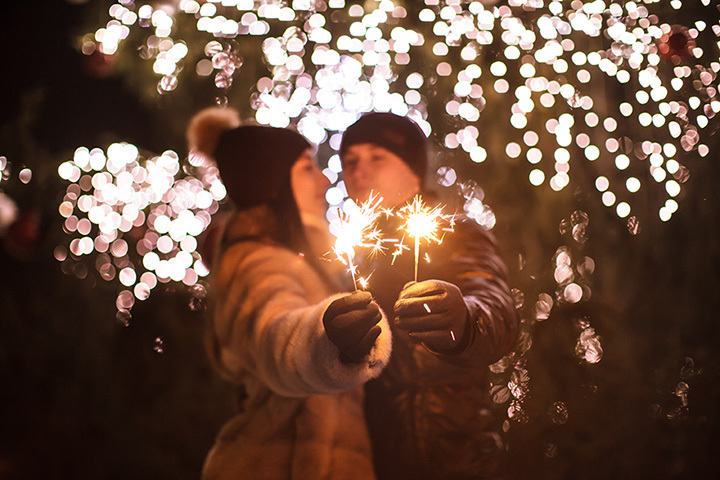 The draw to Zoo Year’s Eve are the fun activities like face painting and dancing along with Zoo Lights, an illuminated display of animal sculptures that spans 70 acres. Kids won’t need to miss bedtime when they celebrate the New Year at Zoo Year’s Eve since a countdown occurs at 9 p.m. Snow Mountain Ranch hosts at Noon Year’s Eve Party every year that is perfect for the whole family. Enjoy dancing with a DJ, plenty of games and an early ball drop at 10 p.m.
From 9 a.m. to 4 p.m. on New Year’s Eve, head to the Children’s Museum of Denver to have a day full of education and fun. Kids will love the glittery art projects and other fun activities to ring in the New Year. The museum offers up plenty of bubble wrap to play with, their version of popping fireworks. For families near Lafayette, the New Year’s Eve celebration at WOW! Children’s Museum is a great way to spend New Year’s Eve. Enjoy crafts, musical performances, refreshments, face painting and a countdown all before bedtime. There will be two parties: one held at 10 a.m. to 12 p.m. and the next held 1 p.m. to 3 p.m. Families who enjoy the outdoors will love ringing in the New Year at Skate the Lake in Evergreen. Brush up on your ice skating skills on the frozen lake while also enjoying other activities like bonfires, sleigh rides, live music and more. Fireworks go off at both 8 p.m. and midnight. The Steamboat Grand, a hotel in Steamboat Springs, throws a festive New Year’s Eve celebration complete with a buffet dinner and live performances perfect for kids and adults alike. Grab a noise maker and party hat and enjoy the DJ before the countdown to the New Year begins. Take your family to Estes and stay at the YMCA of the Rockies to enjoy the New Year’s Eve Family Dance party that occurs here every year. The event is free for those staying here. This family-friendly dance party includes a DJ, snacks, and games. The ball drops at 10 p.m. so even the little ones can stay up for the big moment.